Launched on Queensland Day on 6 June 2017, the Stamford Plaza’s Spirit of Queensland Lobby High Tea has become a must-do Brisbane experience. 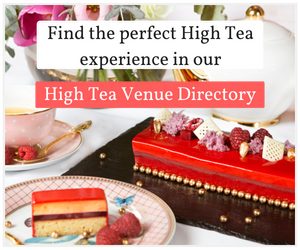 This one-of-a-kind high tea will take your tastebuds on a journey to the majestic rainforest in the Far North, to the crisp countryside of the Granite Belt, and (if you’re a Brisbane local) will even take you back to your childhood to a day at the Ekka. One of the defining characteristics of this high tea is it only incorporates produce from Queensland. So whether you’re a Queenslander at heart, a relatively new resident like me (apparently five years still makes me a newbie) or simply visiting this sun kissed part of the world – this experience is not to be missed. We began with a not so conventional high tea custom, but a staple in the Stamford Plaza tradition, with a delicate curry puff. The curry puff, which is served at every Stamford Plaza across the globe was light and fluffy with a hint of spice and a cooked egg inside. Next we had the savoury selection which included a petite Daintree barramundi, leek and dill mini quiche, finger sandwiches and a Mt Cotton chicken, sundried tomato and mayonnaise mini wrap – my personal favourite was the barramundi quiche, which was a burst of flavour but not too overpowering to be enjoyed. A quintessential must to any high tea is the scones tier and with a selection as unique as this, it’s no wonder it raised a few eyebrows when I described it to people. While a cheese and vegemite scone may sound unusual, it was brilliant and a welcome savoury addition to a normally sweet treat. As was the Queensland blue pumpkin scone, which was fluffy and light and went perfectly with a spread of butter. The sweet addition to this tier was the Stanthorpe cider apple and raisin served with Maleny dairy cream. 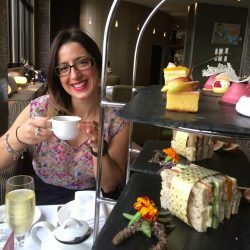 But what you’ve really travelled to Stamford Plaza Brisbane for is the show-stopping top tier – one of the most imaginative and beautifully presented desert tiers of any high tea I have experienced thus far. From a posh retake on the lamington, to a sugarcane shortbread shaped like a kangaroo, to a tart with berries from the Redland Bay, to a blueberry and chocolate delice with thongs on top and a Golden Gaytime inspired profiterole. They were all unique and delicious in their own right. But there were two real standouts amongst the sweet temptations. The aptly named A Day at the Ekka, is a deconstructed strawberry sundae in a glass, which transports you back to your childhood at the showgrounds where you were on cloud nine while ice-cream dripped down your hands and you raced to finish it before it completely melted away. 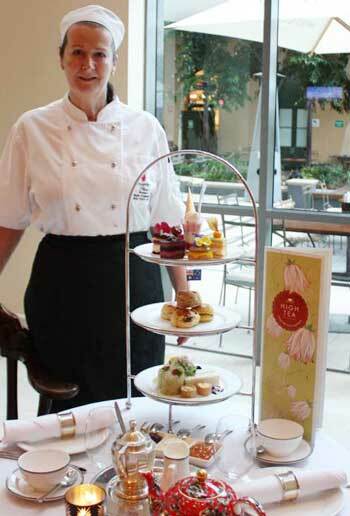 The Spirit of Queensland high tea is worth a try if just to experience their intricate layered cake. Created for and served to Her Majesty Queen Elizabeth II during her visit to Brisbane in 2011, this delicious cake is made up of layers of Bowen mango, Innisfail banana, Mareeba pineapple and Sunshine Coast finger lime. It truly is the Essence of Queensland and if it’s good enough for the Queen, well what are you waiting for? 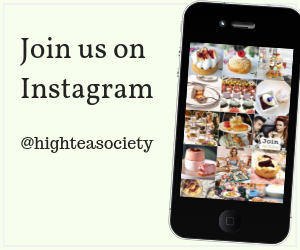 What makes this high tea so special is you can see the effort and creativity that went into producing it. You can see the hours laboured to make it perfect, you can taste the different corners of our beautiful state and you can feel the nostalgia with every bite. Each item on the menu tells a story, and the thought that went into it is evident throughout the experience. The team at the Stamford Plaza, especially Pastry Chef Eilidh Fitzsimmons are rightfully very proud of what they have achieved. It does Queensland proud. The Stamford Plaza’s Spirit of Queensland Lobby High Tea is served with wide selection of Dilmah teas in Dudson Fine China. Served Fridays from 3pm-5pm and Saturdays and Sundays from 3.30pm-5.30pm.